CCTV systems are great in theory. They stop acts of theft by as much as 51% in some cases and the cost of a CCTV system is on the decline. On the face of it, there are no negatives and an integrated alarm system is a must-have for homeowners. However, the main issue the majority of people have with closed-circuit television is the complexity. From installing it to trying to understand the jargon, it’s almost impossible for the average person to understand. Firmware, performance configuration and NVR aren’t terms you will come across very often. Then, there is the branding to factor in too. As one of our blog posts points out, you’ll often find generic models being rebranded to boost sales even though they are inferior. There is a lot to remember and it can be daunting, which is why this post is here to help. Here’s our easy to understand overview of CCTV systems. The short answer is yes. Crime is on the rise in Brisbane and the Gold Coast area and a CCTV system is a strong deterrent. The fact QR Limited introduced them to tackle the rising number of incidents in train stations is proof they work. The fact it helps police to catch offenders and makes thieves less likely to target a home is something worth considering. People feel safe until their home is violated, and a camera is enough to prevent this from happening. The cost of a home CCTV system isn’t what it used to be. 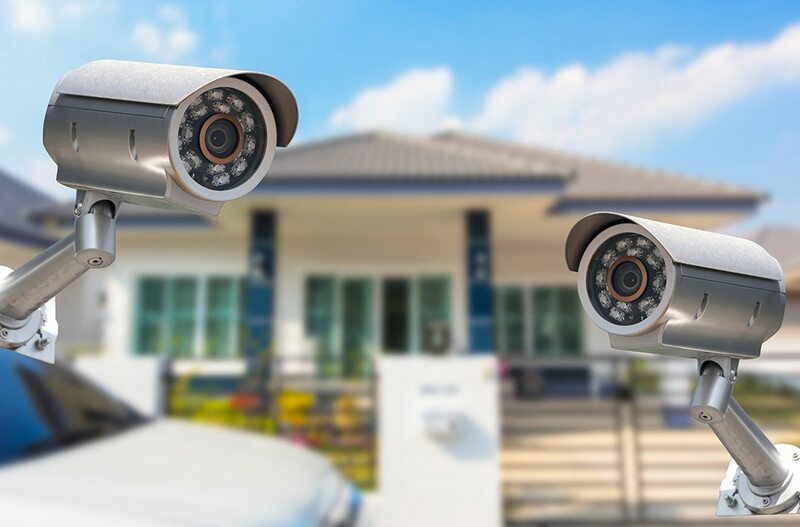 With the rapid improvement in technology and reduction in price of imported goods, CCTV and alarm systems are far more affordable than previous years. The quality of a professionally installed system far exceeds the capability of similar systems from only a few years ago, this is largely driven by the transition from analogue to digital systems. What Should I Know As A Beginner? There are a few things to keep in mind aside from the cost and the effectiveness. When purchasing a system, you need to ensure it’s the best fit for your home and family. Otherwise, the usefulness is negated. – Its capabilities: Regarding your CCTV system, it should be able to view people from a mid-distance while scoping the rest of the area. To find the perfect product, it’s essential to factor in the lens size and the angle. The trick is to find a screen which hones in on your home while surveying the rest of the neighbourhood. Also, don’t forget about the amount of memory storage. If you’re recording all the time, the storage space needs to be large to keep up with the demand. Alternatively, you can re-record over files. – What it sees: Once you’ve chosen the right product, it’s time to fit it to your property. The most common mistake is attaching it above the garage or front door and calling it a job well done. Yes, it might be the perfect place to install a CCTV camera, but it might be a terrible position too. Homeowners must decide what they want to record and choose the location based on this information. Usually, outhouses such as garages are targeted so the camera might be better recording towards the street. A compromise is to use a 360 degrees lens and rotate it to capture as many images as possible. Also, consider lighting as the glare from lanterns or spotlights might distort the images. – Professional advice: It’s tough to know whether you’ve covered the bases when you’re not an expert. As such, they might be gaps you haven’t filled or corners you’ve missed due to your lack of knowledge. Don’t be embarrassed; instead, be proactive. Throughout Brisbane and the Gold Coast, there are plenty of pros who will consult and offer their services. Your local police force might even do it to help them combat crime. Trying to understand the complicated nature of a CCTV system isn’t a DIY job. Of course, we are happy to help if you have any closed-circuit television questions or queries. Call us today to speak to a qualified staff member or visit the website for more. Let us take care of what matters most to you. Contact 360Secure today for a free security assessment and quote. Family owned and operated. We've been in the security and technology industry for the best part of 15 years. We pride ourselves on keeping up to date with current trends which allows us the opportunity to pass onto our clients the best solutions for their needs.